Toshiba has confirmed to WotSat that it will be producing a set top box with integrated and recordable Blu-ray and Freeview HD with the service due to arrive in the UK this month. The lack of equipment for Freeview HD – which needs new DVB-T2 tuners – is a concern across Britain at the moment, although there will be a raft of announcements at CES from major manufacturers. And Toshiba, it seems, is keen to combine Blu-ray – something they have only started making recently – with the latest in free-to-air HD. 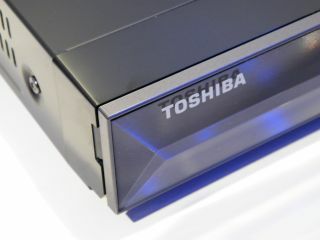 "Meanwhile, Blu-ray and DVD group manager Hideki Fujii, unveiling Toshiba's first Blu-ray player, also announced that a Freeview HD recorder is in the works for 2010," said WotSat editor Alex Lane on the blog, reporting from Japan. "Yep, DVB-T2, HDD and recordable Blu-ray in one box. It might even arrive for the 2010 World Cup, but maybe that's hoping for too much." So good news – although we very much doubt that it will be the last Freeview HD product that we hear about in the next month.